Most cameras have presets for color balance....you know....indoor, outdoor, flourescent, tungsten. cloudy, dusk, etc. Recently they have been adding actual color temperature adjustments in 100k increments. This is a cool new feature that is welcomed by all of us. So...if indeed the T2i does not have this (it appears initially not to) then it is not a major change in design philosophy, just an omission of a "newer" feature. So what ISO settings are available? And...any chance of clarifying what the dedicated video mode on the dial means? That's how you put the camera into video recording mode. Thank you, Chris, for putting two threads together for me. And big thanks for answering most of the questions. 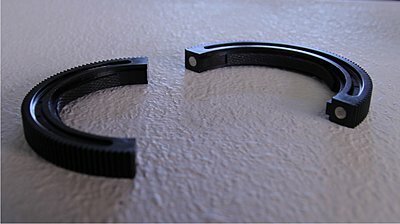 Follow focus ring answer looks like has been answered. Yes, the one on L lens is older model (with red ring), and 28mm one has newer version. I am thinking about going out and shoot some more, but I only have 4GB SD card. My 32GB cards are coming tomorrow (along with extra batteries), so I will def. shoot more this weekend. According to the owner's manual, you can choose a WB preset or get a manual balance using a bounce card, the old fashioned way. Unfortunately there's no way to input a specific color temperature in degrees Kelvin using 100 degree increments as there is on the 7D and other pro -level EOS cameras. thanks. I hadn't seen the manual yet so I will grab that. However, I find that often some of these little items are not apparent until you physically handle the camera which is why I was asking someone who had used the 7d and the T2i. On the 7d you can switch to video recording mode via a dedicated switch, so you can shoot video with any of the preprogrammed shooting presets plus the 3 custom presets. On the surface it appears that isn't the case with the t2i. I am just trying to wrap my head around real world limitations of the t2i vs. the 7d. I know the specs, I am familiar with the main differences but until someone uses it, there is no good way to know the intangible differences that appear that are not documented. For every HD-equipped Canon D-SLR, the actual HD recording is initiated in a different way for each camera. On the 5D Mk. II, you change a menu setting one time to enable the Set button to start recording, when in Live View mode (two steps; press the Live View button then press Set). On the 7D, there's a physical switch to access movie mode, and a dedicated Start button. On the 1D Mk. IV, you change a menu setting one time and then activate recording with the FEL button. On the Rebel T2i / 550D, turn the mode dial to "movie" and press the Live View button to start recording. Funny how it's so different for each one of these cameras. Well I've never gotten away from using bounce cards to set WB, so I guess I'll not miss that setting. Thanks for the great review/comparison! Wow.. great comparison video. Thanks for posting. The only real thing that jumped out at me was the final set of comparison shots... The T2i looked much warmer (especially on the skintones) than the 7D. I do think, however, that the T2i will be more than adequate for a lot of people. I set the WB differently. That's not caused by different camera. I set it differently. Why? I don't know. LOL! What do you call those large focus rings he's got on his lenses? Those look like they'd be pretty handy. Check out this one I got from Indy System (IndiSYSTEM - Studio 4 Productions). 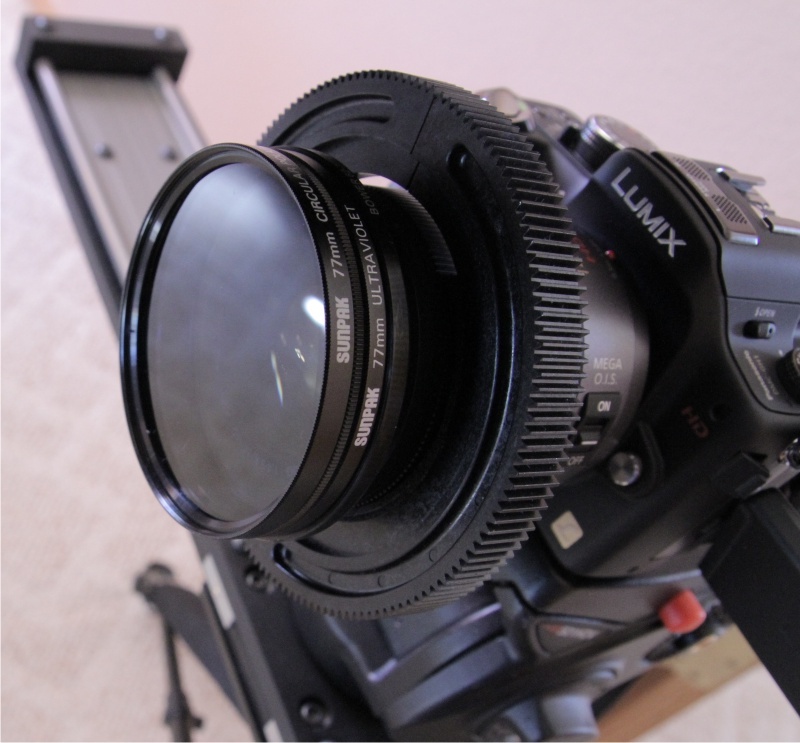 They snap around the lens with magnets and they help you a great deal with focusing. It takes me 5 seconds to put them on, and when I store the camera, I take them off in a second. It's a great design. They come out in different diameter sizes, so you can use them with any camera (I also have one on my 7D rig as well and on my EX1). That looks great, but I can't find them on the site. What am I missing? Thanks a lot for the video, J.J.
You got ring gears but not the rest of the follow focus system? I couldn't find the rings either. Please email me with the information. Thank you.